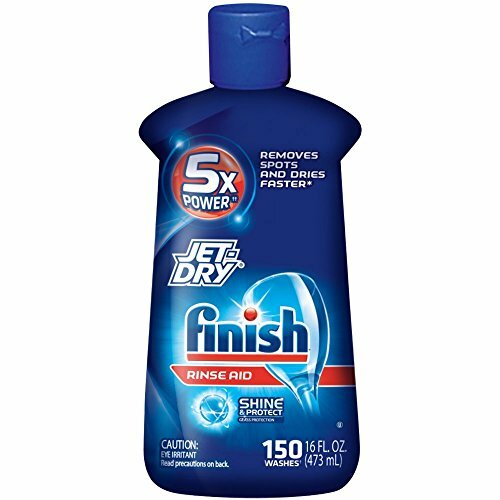 Experience shiny dishes and spot and film protection (vs. dishwasher detergent alone) with our Finish Jet Dry Dishwasher Rinse Aid. It works with your dishwashing detergent to rinse away stubborn leftover food, spots, and film for sparkling dishes, glasses and utensils. If you have any questions about this product by Jet Dry, contact us by completing and submitting the form below. If you are looking for a specif part number, please include it with your message.